Verzeichnis aller deutschen Kleinplaneten-Entdecker (Amateure und Profis), gelistet seit der ersten Kleinplaneten-Entdeckung im Jahre 1801. „Schwab discovered numerous minor planets at various observatories. He observed at the Starkenburg Observatory Heppenheim, at the Taunus Observatory of the Physikalischer Verein Frankfurt, at the Tzec Maun Observatories in the United States and Australia, on the Calar Alto at the spanish 1.5m-Telescope and the 0.8m-Schmidt. He also observed with the 1m-Telescope of the European Space Agency (ESA) on Tenerife. 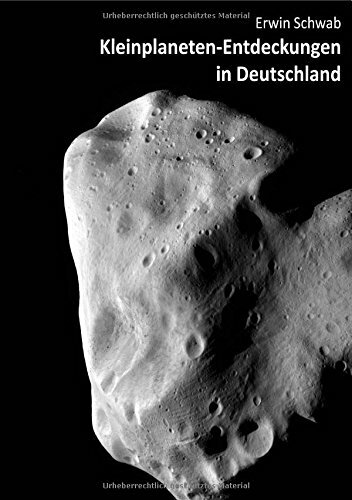 Already in 1981 he began astrometrical analyzing of minor planet positions using the optomechanical coordinate table of the Landessternwarte Heidelberg and later in 1998 Schwab made his first asteroid discovery (in Team Starkenburg). In the meantime he is one of the top ten of most successful German minor planet discoverers. Kleinplanet Hasubick -> MPC New !